The date is set for my next Creative Meetup! Looking for a way to spend time outdoors and let your creative side out? Join me on Park City Mountain Resort Sunday, January 28th for a Creative Meetup. Bring your sketchbook, your paints, your journal, your camera, an instrument or whatever you want to make art and join a community inspired by nature. ***Please note, this event requires you to have a lift ticket or ski pass to Park City Mountain Resort and you must access the Summit House via ski lift. *** The creative gathering will start at 1:30pm and go until about 3:30pm which leaves us enough time to get a couple more runs in before the resort closes. Depending on the weather we can enjoy time on the deck of the Summit House or retreat inside the restaurant to continue making art. Both enjoy great views of the resort. Bring your friends, your family, or anyone else who might enjoy a different way of experiencing the ski resort. This event is free and is not sponsored by PCMR, but you MUST have a lift ticket or ski pass - none will be provided as part of this event and there are no discounts available. 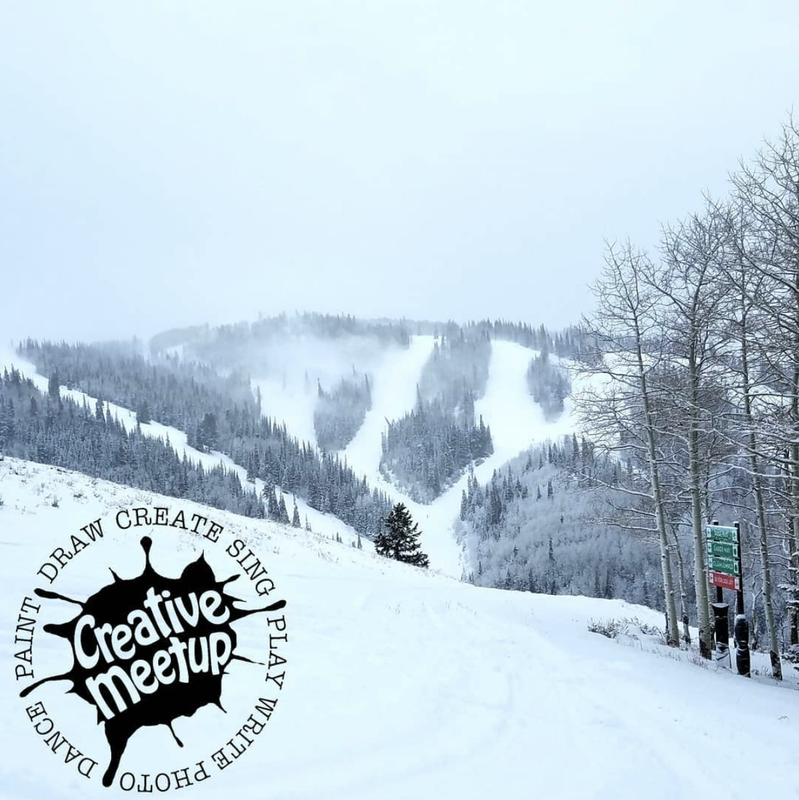 This Creative Meetup is open to anyone and your skiing or snowboarding ability is not important.